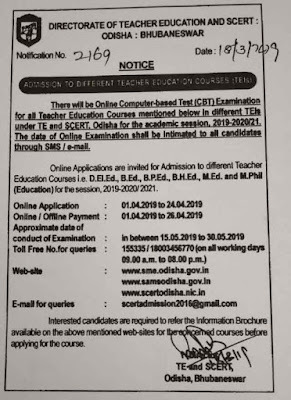 Odisha SCERT Admission 2019: Director of Teacher Education & SCERT, Odisha is going to release a notification regarding SAMS Odisha SCERT Admission 2019 courses for B.Ed, M.Ed, D.El Ed (CT), B.H.Ed, B.P.Ed, M.Phil, and other related courses. The Online Common Application Form will be available on the Student Academic Management System (SAMS), Odisha official website www.samsodisha.gov.in, and www.sme.odisha.gov.in or www.scertodisha.nic.in. You can be applying online CAF for Odisha SCERT Admission 2019 courses like D.El.Ed (CT), B.Ed courses at any place where Internet facility is available frequently. Before filling the online Common Application Form, Please read the Common Prospectus carefully which is available at SAMS Odisha portal. Those students who are eligible for apply Odisha SCERT Courses they can apply online for SCERT courses like B.Ed, M.Ed, D.El Ed (CT), B.H.Ed, B.P.Ed, M.Phil, and other related courses. 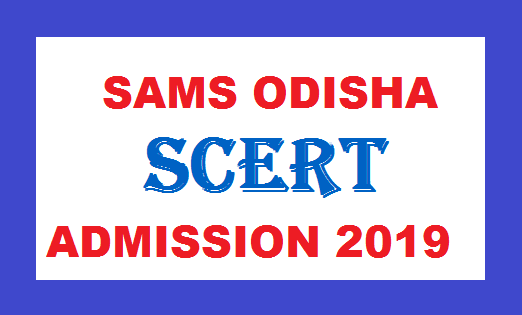 Students can apply online application only on SAMS Odisha official portal www.samsodisha.gov.in and can download Prospectus for Odisha SCERT Admission 2019. 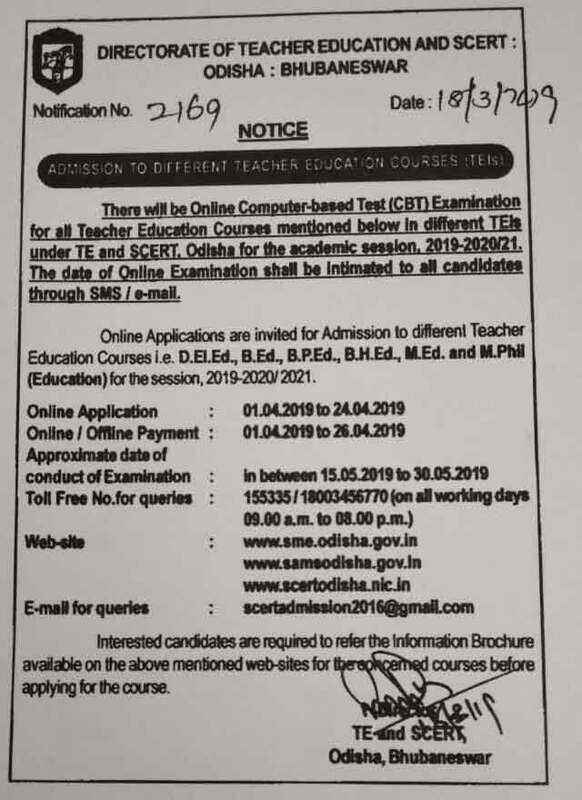 Update: The last date of SCERT Entrance exam apply date is extended from 24th April 2019 to 30th April 2019 and online fee payment last date is 01 May 2019, offline fee payment last date is 2 May 2019. Next, you should click on ͚Teacher Education͛. Then click ͚Register for Online Application͛ in the home page. Now fill-up the CAF online on the computer completely. Pay the required fee for the courses applicable. I hope you like this post and if you have any problem to know the key dates of Odisha SCERT Admission 2019 please leave a comment in below comment box. Please stay touch with this post for more updates for SCERT Admission 2019 Odisha Key dates.